Product sampling has proven to be a powerful marketing tool for many reasons. It's easy for the consumer to participate in this type of focus group, because you bring the product samples right to where the shopper is doing business. As the sampling vendor, you get access to a diverse group of your target audience, in their demographics, and in the "purchase or not purchase" funnel of the customer journey. Product sampling makes a lot of intuitive sense: you believe in your product, so providing small amounts of it for free to potential customers is a great way to get them to believe in it, too! In practice, however, there are many more elements at play than simply handing out your product. Product sampling sessions require a careful balance between service skills and salesmanship, making sure that customers come away from the experience interested in your brand rather than simply enjoying the short-term buzz of getting their hands on something for free. 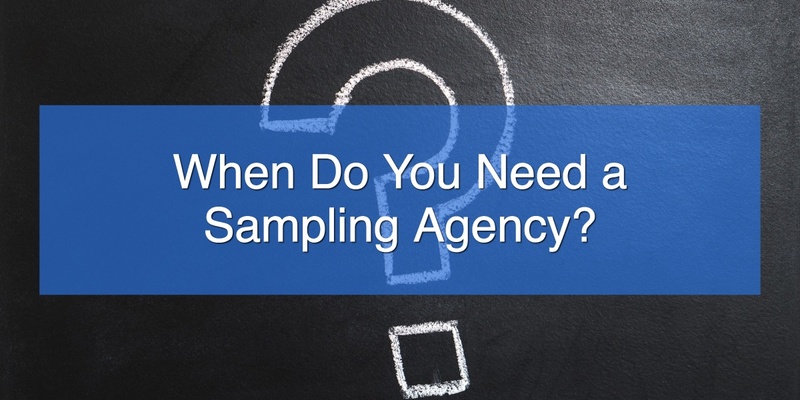 When Do You Need a Sampling Agency? Selling product through an event has been a key marketing tactic for businesses since at least the 1800's when Great Britain's Great Exhibition showcased the manufactured products of the United Kingdom. While many aspects of marketing have been digitalized in the mobile, social, and big data economy, product sampling still requires that a salesperson and a prospect spend some time in the same place. Everyone who has ever visited a grocery store on sample day is familiar with the plain little plastic cups. No matter how delicious or attractive the sampled product inside might be, the cup itself somehow brings down the whole experience. These cups are usually clear plastic, paper-thin, and let's face it: They don't exactly show off your product. 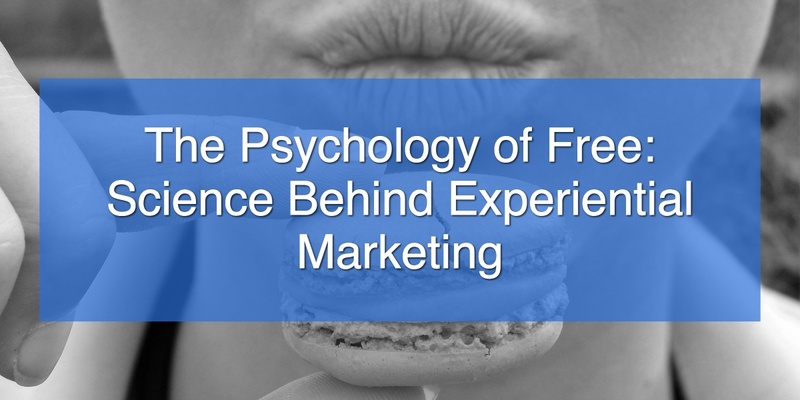 Customers take an impression not only from the product itself, but the way it is presented. 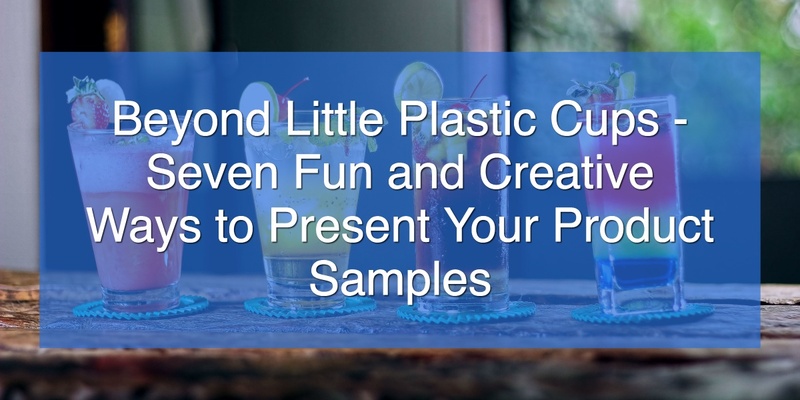 You can emphasize the quality and style of your product and make your clients feel special simply by getting rid of those plain little plastic cups or toothpicks and mixing it up a little. Whatever industry your business is in, you need to have a presence at your industry's major trade shows and regional events. 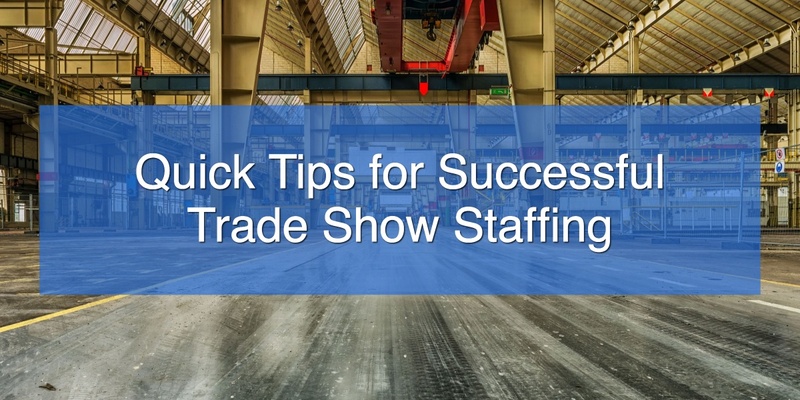 Trade shows provide opportunities to reach decision makers in your industry. According to the Center for Exhibition Industry Research, increasing sales is the single most common trade show goal for 83 percent of marketers. When a business develops a new drink, snack, or a remarkable new toy sometimes it takes a little more than online marketing to get the word out. People tend to be stuck in their ways. They buy the items and flavors they always buy. Unless something comes along that shakes up their status-quo and introduces them to the delights of your new product. You're a new brand planning on doing some in-store food sampling and are beginning to overthink things; Which causes you to ask questions like "Will giving away free samples actually increase my sales?" What if people try my products and no one buys them?" After all, who has money to give away products for free?" Getting ready to sample your product? There's probably two thoughts going through your head. What if I sink all this money into free samples, and no one buys anything? Or, how much my sales will increase from this sampling campaign? If you are hesitant about giving away your product for free, that is understandable. However, sample campaigns have proven themselves effective. The evidence shows they are worth the investment. Like many marketing strategies, there is a psychological element to a stellar sampling campaign. How does it work? Sampling campaigns are hardly a new invention. In fact, they have been around almost as long as marketing itself. A well-crafted sampling campaign gives audiences the power to make an informed buying decision. Furthermore, they get to make that decision without spending their money first. 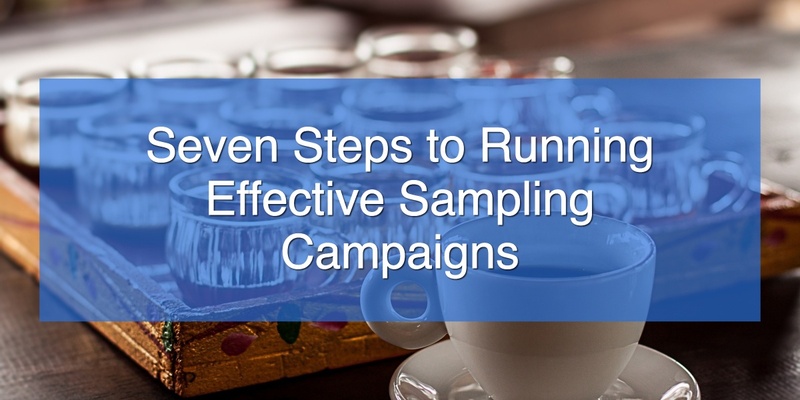 There are several steps involved in planning a sampling campaign. We have covered some of the most important ones in the list below. 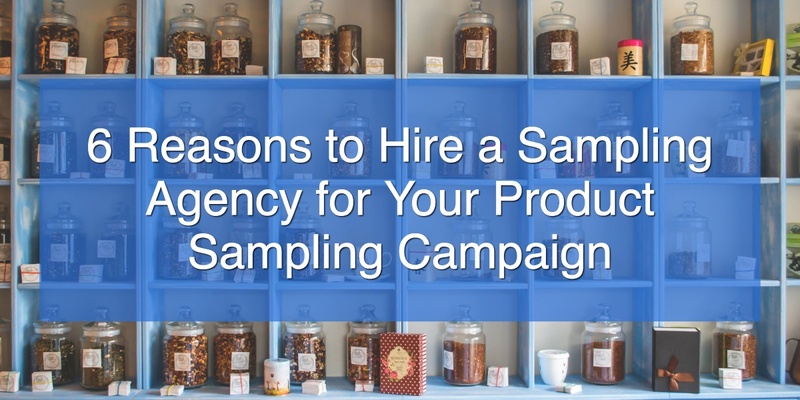 Many companies are hesitant to do product sampling for the first time, and it's clear why. The costs are real: how much money are you spending on the samples? 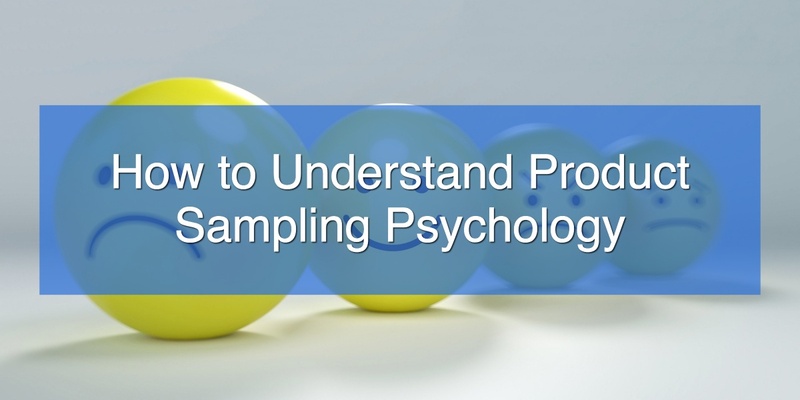 What if, after the sampling is done, no one actually buys the product? On the other hand, what is the cost of not sampling? Luckily, many companies have successfully sampled with great results. 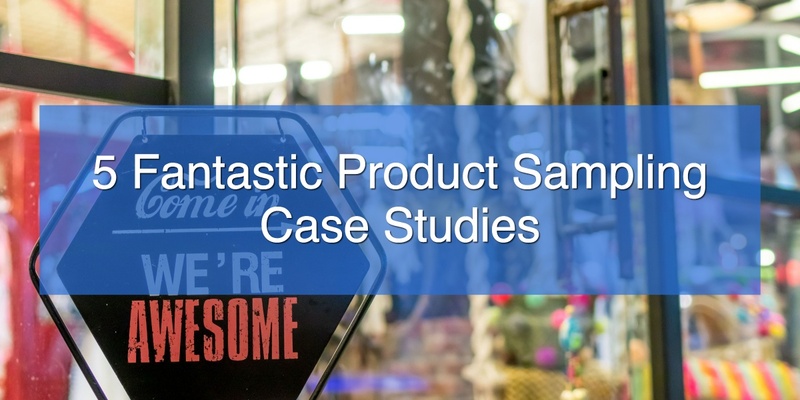 We've compiled the following four product sampling case studies that focus on what has worked and why.